Most popular Agatha Christie novel? September 15th marked the 125th birthday of the celebrated mystery writer Agatha Christie, and to mark the occasion the author’s estate ran an online poll to determine which of her novels is the most popular. 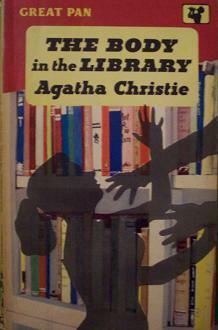 Perhaps surprisingly, the winner is not one of the stories featuring either of her most famous characters, Hercule Poirot and Miss Marple, but the 1939 thriller And Then There Were None, which received 21% of the final vote ahead of Murder on the Orient Express and The Murder of Roger Ackroyd. And Then There Were None is perhaps the archetypal whodunit, in which ten strangers are stranded on a lonely island and then murdered one by one. The book has sold over 100 million copies worldwide and has been filmed several times. See Agatha Christie's entry on Who Else Writes Like...? website for more information about the author.